I enquired from the shop where I bought it, about the trouble am having with memory cards (SD cards) that are not working and I was advised to use a brand new card. But this is ridiculous because i have been using old SD cards in new phones and I have never experienced this problem. 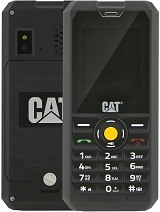 In a nutshell the cat B25 phone has proved to be useless. So prospective buyers think twice, don't say you were not warned. I bought the B25 on 13 November 2018. It has horrible ring tones as a result I inserted a memory card with songs so that I can use a song as a ring tone. This works only for one or two calls, the next call the horrible tone from the device sounds. When I go to file manager and check the songs it says no files. What could be the problem? I have tried changing SD cards the phone still behaves the same. Am using SanDisk SD cards. Am slowly but surely starting to hate the phone. Please assist. Anonymous, 14 Oct 2018No, it's a gsm not a smartphone. So it's not umts or hspa or hsdpa? 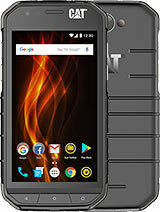 khadeer, 30 Apr 2017sir, can this phone have android or in this phone we can use applicatiopns like whatapp and otherNo, it's a gsm not a smartphone. cool, 18 Jan 2017How to set original ringtone(not from phone) for group?Can I i ncrease text size on phone for my husband? He is new to this phone and finds text very small. My b25 is not working plz send me his software or link . - must work in water. I had Sony Xperias, but they are not that sturdy. If I accidentally step on it with my 95 kg, it breaks into million pieces. So, I turned to CAT. I watched youtube vids testing different CAT models. 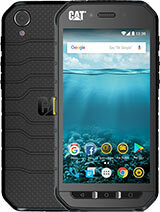 The smartphones unfortunately dont work in water. 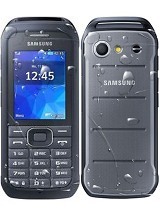 If the screen is wet, no chance to call, cause the screen is unresponsive. So, I decided to buy a stupid phone with physical buttons. So, I picked this model. Pros: Really water resistant. So sturdy, that I could use it as a hammer. No problem if I drive over it with my car neither. Rubber covered, not slippery. Long battery life. Dual SIM. Cons: extremely low quality inside. Even some very old phones from the 1990´s beat it. Camera, display, menu design etc. are low end. The phone is very basic, but still does the job perfectly. I only miss the GPS function. 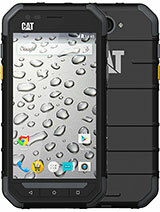 The perfect choice if someone is looking for a reliable, survival phone or just simply as a 2nd phone. And one more thing: a "normal" SIM is the mini. One smaller is the micro and the smallest is the nano. This phone has 2 x normal/mini slots. 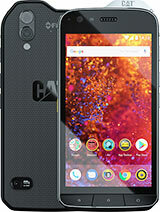 This phone can store up to 500 contacts on phone memory. This phone doesn't have 3.5 mm jack. It uses microUSB as earphone jack. 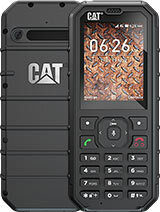 Hi guys i want to buy the phone cat b25 for just calling guide me only thst should i buy or not ???? Hi, I was wonering if this phone has the option of having múltiples numbers for the same contact. This is important since is for a visually impaired person. How set clock size biger like in a photo? 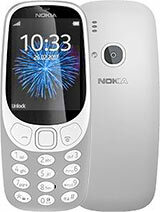 How to set original ringtone(not from phone) for group? i had to blocked some calls for a while now i can not unblock them. does any body knows how can i do that? 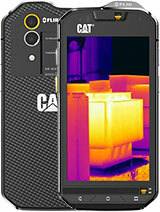 Total of 68 user reviews and opinions for Cat B25.